Not a lot of sewing to show for this week. In fact I've hardly sat down to my machine. I've missed it. For some fun news, one of my quilts is having a photo shoot today! 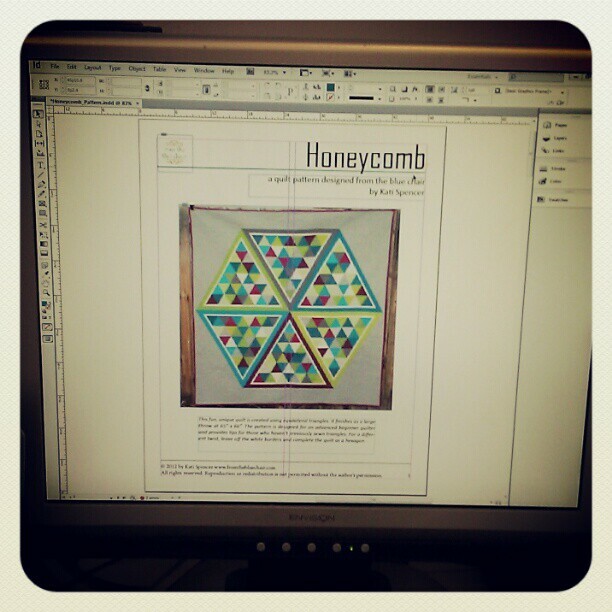 This quilt will be in the Winter issue of Modern Quilts Unlimited, and MQU shared this photo on Facebook this morning. I created this project with my little bundle of Oakshott Rubies a couple months ago. Love these fabrics so much! More pictures to come! I've been spending most of my free time on my Honeycomb pattern. I was hoping to have it out mid-month, but it might be another week or two. I didn't understand how much time it would really take from start to finish. I'm getting there slowly. 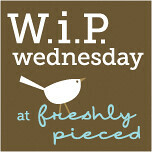 Linking up to Freshly Pieced today! The Oakshott ruby quilt is stunning! Very beautiful and so fun to be in a magazine! Lovely Kati - hope we get to see it in person. Your Rubies quilt is stunning! Please tell me it is Quilt as you go! 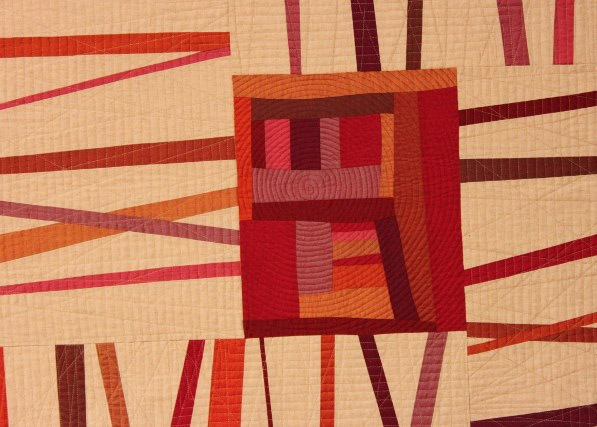 Oh, Kati, I love your Oakshott quilt!! Such a neat design!! i feel for ya - pattern writing is fun at first, but it can get to be a drag after awhile!! You have such great ideas! Your work is beautiful. Love the Ruby quilt! your pattern looks great, can't wait to see it!! Congrats on MQU! I'll look forward to seeing your quilt in there when my issue comes. Also looking forward to the honeycomb pattern! Love the Oakshott quilt - congrats!